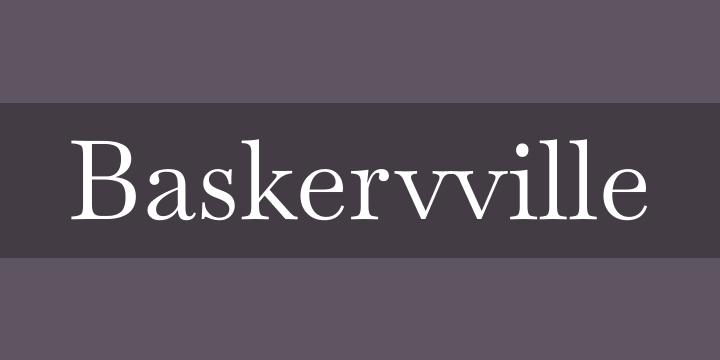 Baskervville is a revival of Jacob’s revival of Baskerville’s typeface. It was distributed by Berger-Levrault Foundry from 1815. The font Jacob produced was sold as a “Caractères dans le genre Baskerwille” i.e “Baskerwille fonts alike” — with a w instead of a v.
The particularity of Jacob’s Baskerwille is that the roman is very closed to Baskerville’s typefaces while the italic is closer to Didot’s typefaces. The workshop aimed to digitalized Jacob’s font in order to testify to his work which creates a transition between transitional and modern styles. The sources showed obvious mistakes due to the difficulty of producing and printing types in the 19th century. We didn’t want to parody an historical typeface which would have reproduced irregularities from the paper, the ink nor the machine. So we tried to be true to what we thought was Jacob’s purposes while using contemporary tools. However, we wanted to be able to use the font and for that matter, we corrected some letter-shapes and proportions. We also had to guess the design of missing letters. We kept that unusual w, which is basically twice a v, and make it the identity of Jacob’s font since the mistake was already made. But is it? Jacob’s Baskerwille is a strange double of Baskerville’s typefaces; a “clone” which looks alike but which is not as achieved as its master. So we found interesting that elementary duplication of the letter v — which signals, in a way, the counterfeiting.